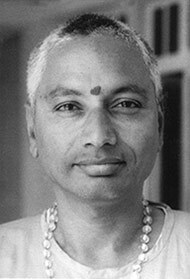 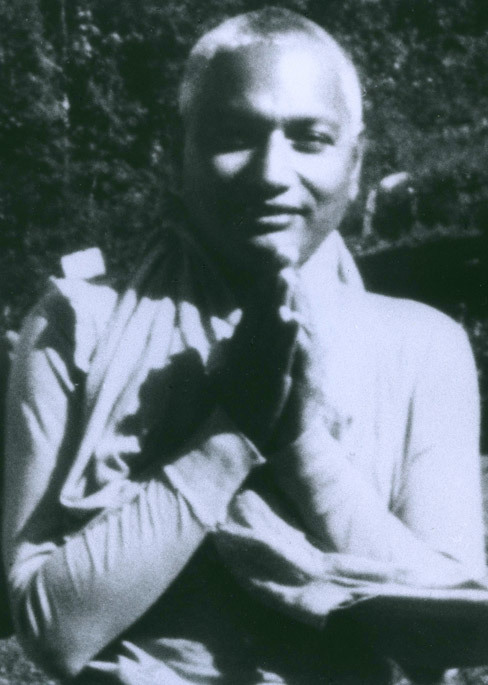 Swami Venkatesananda in Val Morin, Canada at Swami Vishnu Devananda's Peace & Music Festival in 1970, just one year after Woodstock. 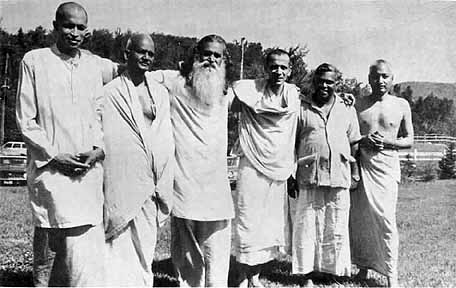 Brother disciples of H. H. Swami Sivananda, Swami Satchidananda and Swami Venkatesananda photographed here in 1969 at Swami Vishnu Devananda's Sivananda Yoga Camp in Val Morin, Canada. 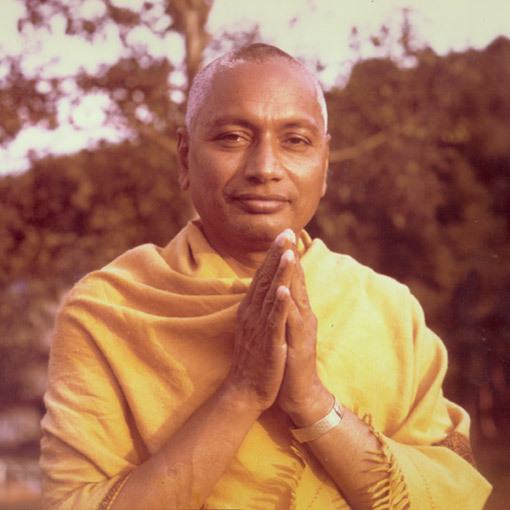 Swami Satachidananda (known best for his appearance at Woodstock just before this photo was taken) taught yoga in the United States through his foundation, The Integral Yoga Institute. 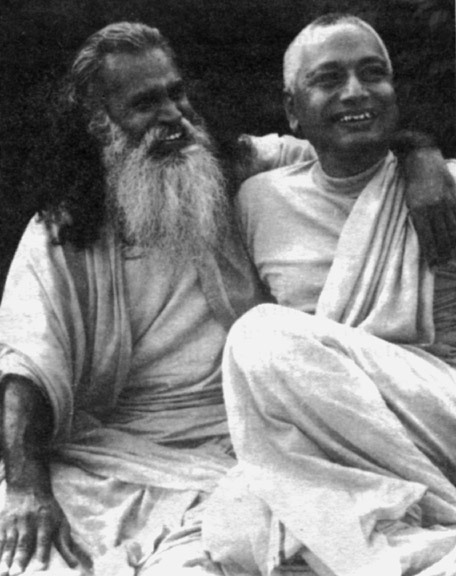 Although they saw each other only briefly after leaving India, they did manage to meet up several times over the years.